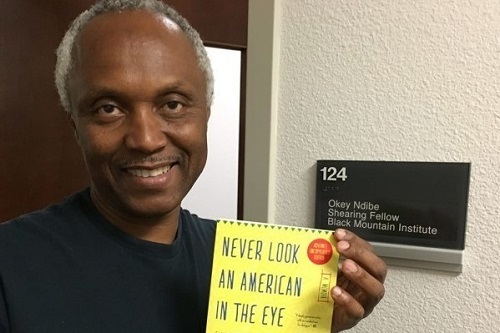 A Review of ‘Never Look an American in the Eye: A Memoir of Flying Turtles, Colonial Ghosts, and the Making of a Nigerian American‘ by Okey Ndibe. Independence, the goal of the African society striving to break away from their European colonists for a sovereign state without any interference was the beginning of the author’s adventurous journey to London in his memoir Never Look an American in the Eye. The journey to freedom was the elusive task African society had embarked upon, breaking away from the authority of the European colonialist to rule as a sovereign society considering the successful independence of India from the British as a factor. Our journey towards European colonization began after the discovery of the African continent by European representatives as a suitable location for the transatlantic slave trade implemented at the Berlin Conference of 1885. The natural resources and plantation across African society engaged the interest of the European contingent, enforcing the strategy of manpower and manual labor to ensure they possessed our natural resources and farm produce back to Europe because we lacked the facility and machines required for industrialization, exploiting the indigenes across African society who were not ‘educated’ to understand the strategy of the European colonist while we got little or nothing as the reward for our labor. African society began to switch its gear towards a sovereign state citing the independence of India from the British colony in 1947 as a stepping stone, great motivation and zeal behind their decisions considering the ordeals encountered under their colonial masters. African society sought for its freedom from the devastating exploitation of the European masters who used the disadvantage of our high illiteracy rate to deceive the indigenes using interpreters, their advantage of this strategy creating a corrupt atmosphere between the interpreter and European colonialist exploiting the indigenes of their resources and plantations. The assurance of an independent and peaceful transition of power in Nigeria did not derail the childhood dream of Okey Ndibe nor did it eliminate the fantasy of the adventurous atmosphere of the United Kingdom in spite of the negative stories of exploitation and manipulation of the British colonial master via interpreters who were tools implemented to deceive indigenes because of the high level of illiteracy. Born in May 1960, Okey Ndibe clearly described our independence as an era Nigeria threw off its British colonial yoke and took on a chic new identity, that of an independent country. An era we give birth to a new identity under the tutelage, leadership and guidance of our own identity, representative and political leaders yet the activities of the British colonialist exploitation cannot be forgotten, an experience he described as abstract in scene and character directly opposite to his parent. To be born under parents who have encountered the good and bad activities of the British colonialist, paternal and maternal grandparents with a great knowledge of the activities of the British could have been vital, casting off his attention and fantasy of living in the adventurous atmosphere of the United Kingdom in spite of the stories of the interpreters’ exploits and reputation for corrupt practices connived with the British colonial masters. They were seen as the mouthpiece of the community, whom via close relationship with the British colonialist were enlightened, yet lured the indigenes forcefully imploring the lack of education and western knowledge as an advantage for exploitation by them and their colonial master. The young Okey Ndibe’s dream of living in the United Kingdom balked while he secretly overheard the stimulating discussion about communism, Karl Marx, and a socialist state between two adults at a bar within his community; an abomination for a young child within his community yet his curious attitude ignited his mind to the discovery of the Union of Soviet Socialist Republics, (USSR) after his discovery of communism as an economic system where resources are owned by the people, the rich and poor, ordinary and elite entitled to the benefits of this economy. Countries that practice these systems of economy were Cuba, China and the defunct U.S.S.R. Ndibe soon moved on from the thought of moving to China and Cuba. choosing the U.S.S.R as the next country he would love to visit. America had not captured his mind while the dream of moving to Britain likewise, the U.S.S.R vivid within the realm of his imagination and thought. Indigenes were engaged in the fancy of living abroad which is observed by many as a place of easy fortune yet the reality is unseen until you visit as an immigrant to study or seek for greener pastures. America was the last country the writer had in his imagination, the British civilization and the communist state of the U.S.S.R vividly creating a mixture of drama and flair as they captured his attention. Discovering America began after watching a series of evocative and entertaining programs ranging from movies to wrestling in front of his black and white television. American wrestling professionals captured his imagination, marveling at every kick, slam and headbutt, unknown to him that it was choreographed with a fixed outcome, delving into gimmicks of his superstars, the entertaining scene from these only creating a vague nature of American society that was fictional and never true. The interest in America grew when he discovered books by Martin Luther King Jr, Richard Wright, James Baldwin, Booker T Washington, John Steinbeck, Ralph Ellison and Ernest Hemingway exploring and thinking deeper into the struggle for liberation. The American struggle for freedom ignited his interest in the United States therefore evocating his interest into the Bohemian lifestyle quite evident in his habit. The adventure of reading along with the entertainment of American movies and superstars enforced the imagination which later transformed into reality. His invitation to America by Professor Chinua Achebe, joining the editorial board for the setting up of a magazine among Achebe and friends in America, was his opportunity to move into the foreign journey he had always dreamt of as a little boy. An opportunity to live in America, his encounter with an American consular at the embassy while striving for a visa attached to his passport, the struggle of ensuring the American dream was not aborted after the disappointing approach to reject the passport and visa after a rigorous interview proving the persistent desire to move to the foreign land. The premonition he learnt from his uncle, avoiding facial contact with an American citizen, an ideology that failed when he was unlawfully arrested during a robbery attack, the cultural differences he encountered and the changes in environment are well emphasized in the memoir. An exposition to foreign culture and civilization, life as a foreigner, immigrant and non Caucasian are struggles explicitly viewed in the memoir, the slight difference in African and Western culture as illustrated in the poem Piano and Drums by Gabriel Okara; which tune would he rather dance to. Did he adapt to the tunes of the foreign culture or imbibe his African values along with the western culture imbibed? How did he cope living among Caucasians as an African man who is considered a minor in western society? The adaptation from rural to urban society, the cultural and political differences he adapted to, social lifestyle and things he learnt about race are questions the writer explicitly viewed in his memoir. 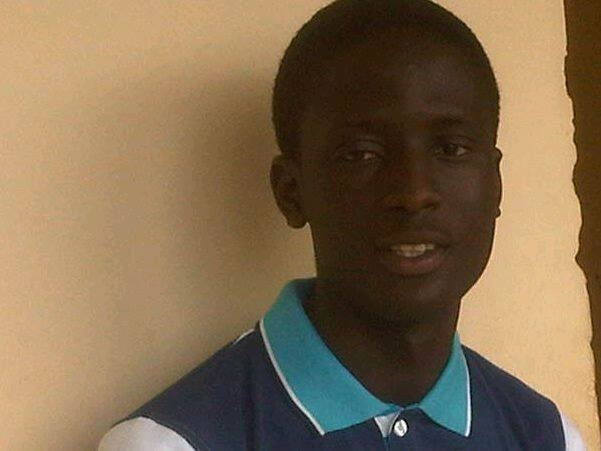 Ogunniyi Abayomi was born July 11, 1991 in the city of Lagos, where he resides. A poet and essayist whose works have been published in various journals.